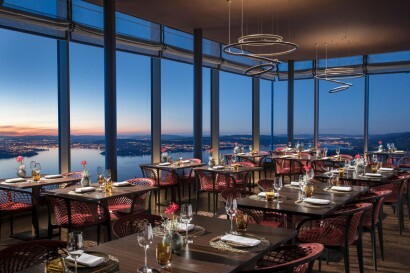 The Bürgenstock Selection is Switzerland’s largest deluxe hotel group. Following a complete renovation, the Bürgenstock Resort Lake Lucerne, the Hotel Schweizerhof Bern & THE SPA and the Royal Savoy Hotel & Spa Lausanne dazzle guests from all over the world with their elegant, contemporary design, while remaining completely true to the timeless Swiss traditions of hospitality, service and discretion. Robert Herr. 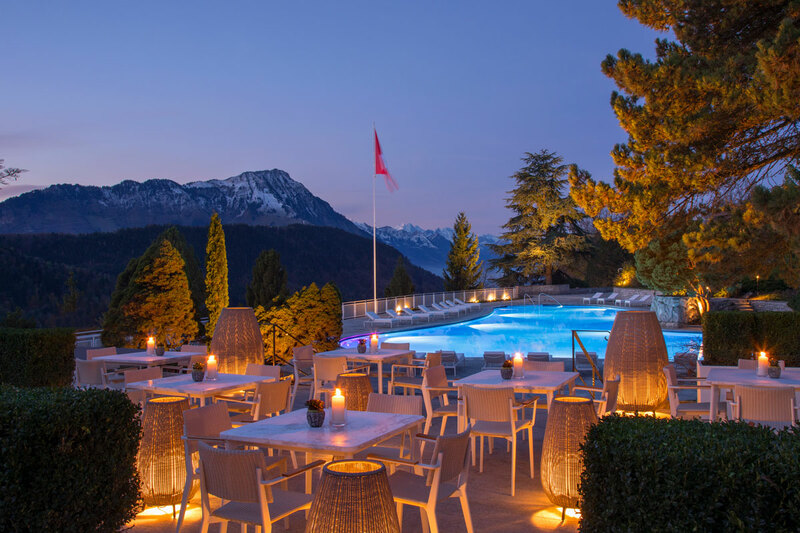 Since January 2017, Robert Herr is General Manager of the Bürgenstock Resort. Previous roles include General Manager and Area General Manager positions in Beirut, Berlin within InterContinental Hotels & Resort. 5* luxury affiliated with Leading Hotels of the World. US, UK and European markets, especially high-end travellers. The Bürgenstock Resort, with its breathtaking lake and Alpine panoramas, is located in the heart of Switzerland on a peninsula in Lake Lucerne. In 2017, the Bürgenstock Resort has entirely reinvented itself, building on a long-standing tradition of attracting the world’s elites, attracting famous guests such as Sophia Loren and Audrey Hepburn. 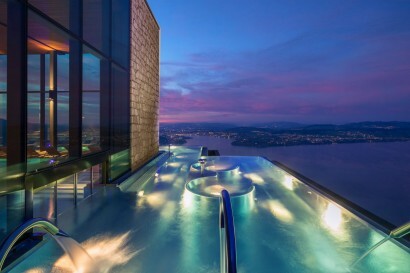 The Bürgenstock Hotel and Alpine SPA is part of a fully integrated Resort located 500m above Lake Lucerne and only 20 minutes drive from the city centre. Hotels within the resort include Waldhotel Medical Health & Excellence, Palace Hotel and Taverne. 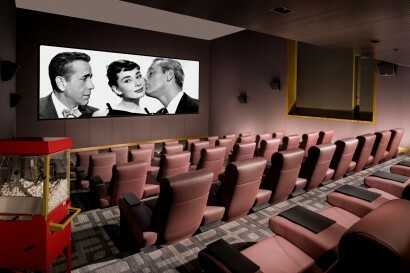 Designers such as Matteo Thun and MKV London were involved with the project. 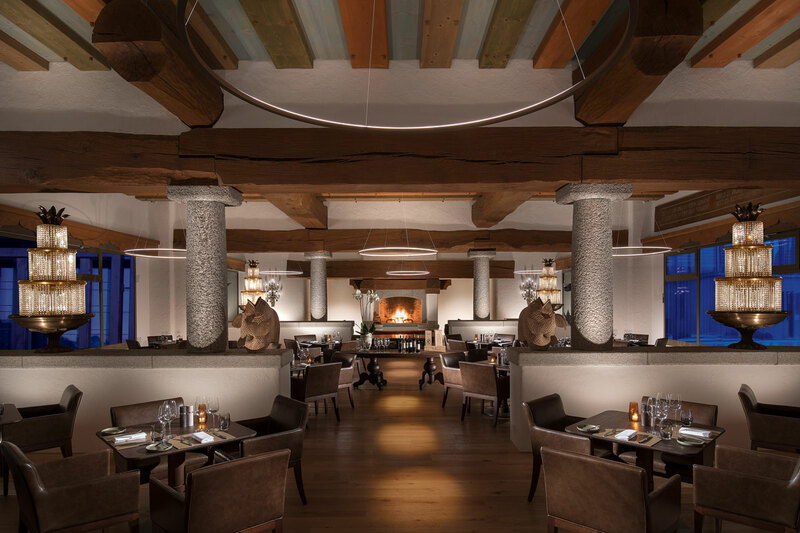 A vast culinary experience can be found in the resort (8 restaurants). 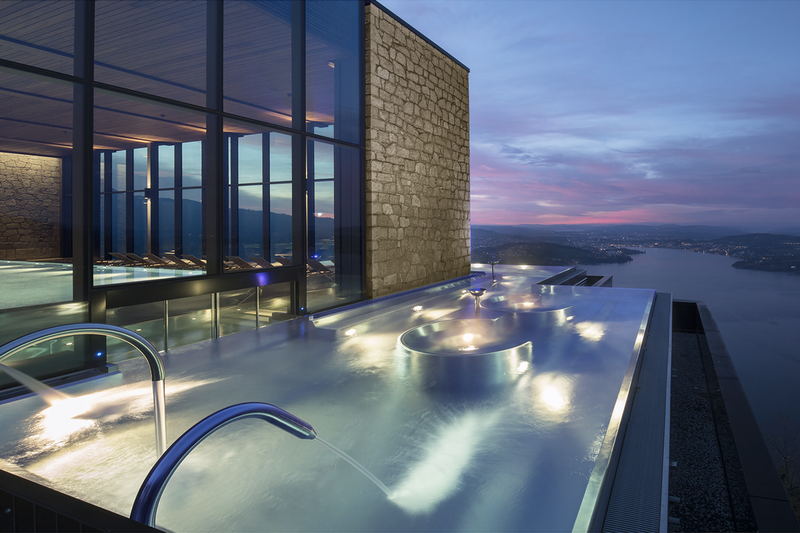 10.000 sqm Alpine Spa, being one of the largest in Europe. Sport facilities: 9 hole golf course, 3 tennis courts, indoor and outdoor pools. Stunning views over Lake Lucerne and a very exclusive arrival experience (boat and funicular) make this hotel very special. 500m above Lake Lucerne with stunning views from all areas within the hotel over Lake Lucerne, mount Rigi and Pilatus being Lucerne’s most popular mountains. 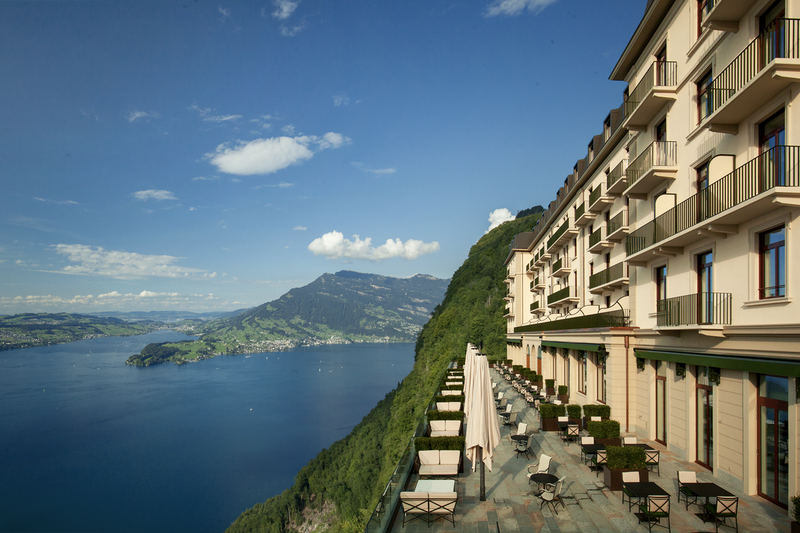 Embedded in unspoilt nature, 70km of hiking and biking trails, local farmers and Swiss cows add a very special touch to the unique Bürgenstock Resort. 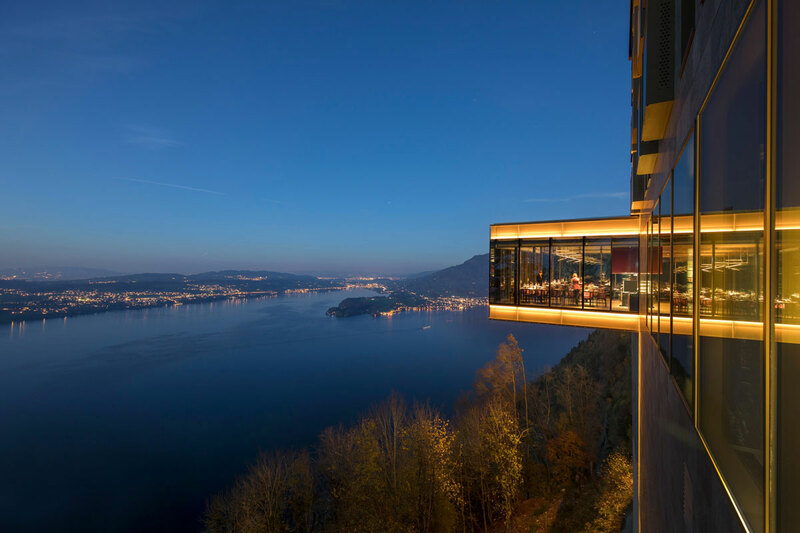 In case of desire for a city, the hotel provides complimentary transport in kind of funicular and boat to the city centre of Lucerne which is only 20 minutes away. Cliff walk “Felsenweg” to the Hammetschwand Lift: Located at an altitude of 1,132 metres, the Hammetschwand Lift is the highest outdoor elevator in Europe. Already 111 years ago, the trip on board this lift was taking the breath away from its first passengers. Today, the lift makes the 152-metre vertical run in less than a minute, and the excitement of speeding so quickly skyward is exceeded only by the thrill of taking in the spectacular view. The fitness & gym area, suffused in light, not only offers you a wide range of training options in its 200m2, but also the unspoilt landscape of the Bürgenstock Resort. A 9-hole golf course, 3 championship tennis courts, curling & ice skating rink in winter, private cinema with 69 incomparably comfortable leather seats and panorama window, 70 km/40 miles of hiking & biking trails, suspension bridge, cruises on Lake Lucerne as well as hikes and rides on mount Pilatus, mount Rigi or Stanserhorn, various activities are only a stone throw away. 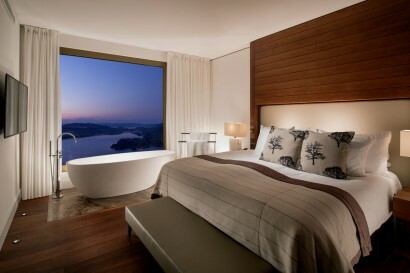 DELUXE LAKE VIEW ROOM, 42 SQM/ 452 SQF Generously sized room, panoramic windows. 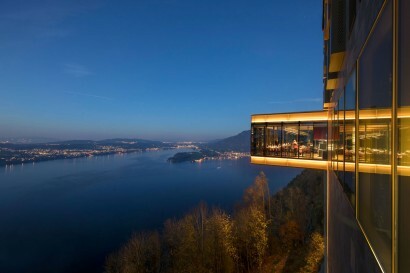 A bigger panorama isn’t possible: Enjoy the view from high above the lake, right in the heart of Switzerland. Featuring double bathtub, gas fire place, walk-in closet. EXECUTIVE LAKE VIEW ROOM (high floor),42 sqm/452 sqf, generously sized room, panoramic windows. Featuring double bathtub, gas fire place, walk-in closet. BÜRGENSTOCK SENIOR SUITE,73 sqm/785 sqf, generous rooms, gorgeous view: enjoy the breathtaking panorama from the floor-to-ceiling windows – far below you, the lake glitters, and beyond, the gently rolling hills and forests extend to the foothills of the Alps. Free-standing bathtub in the sleeping room, separate spacious living room and guest toilet. SPA SUITE, 89 sqm/ 958 sqf, your suite with a private spa! 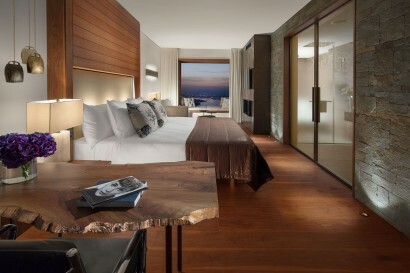 SPA SUITE is equipped with a private sauna and an exclusive massage room with a massage couch. Treat yourself to rest and relaxation for both your body and soul without having to sacrifice your privacy. BÜRGENSTOCK GRAND SUITE,89 sqm/ 958 sqf, gorgeous panorama over Lake Lucerne. Walnut floors throughout and opulent natural quartzite walls, the finest materials exquisitely finished, define the first-class ambience of this suite, which has a separate living area and an extra large walk-in wardrobe. 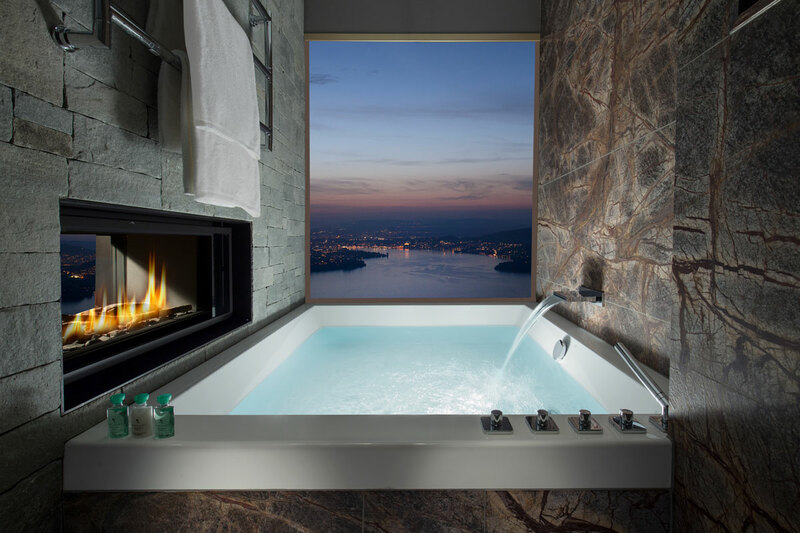 FAMILY SUITE, 88 sqm/947 sqf Panoramic views of Lake Lucerne & Alps. The panorama over Lake Lucerne and as far as the Alps beyond is truly impressive.The suite with two bedrooms and a living room is the ideal space for families. PENTHOUSE SUITE, 169 sqm/ 1819 sqf, modern comfort, contemporary design. This more than spacious Penthouse Suite provides plenty of room and even more atmosphere in its generous 169 square metres: in addition to the bedroom, the Penthouse Suite also offers a large living room with a guest toilet and a separate kitchen. PRESIDENTAL SUITE, 308 sqm/3315 sqf, experience luxury from your roof terrace. It provides plenty of room and privacy in its generous 308 sqm, and it is of superlative quality throughout: in addition to the bedroom with a walk-in wardrobe, the Suite has a living room with a fireplace, a separate dining room and a separate kitchen, a library and a massage room with a private sauna. Even a grand piano is part of the furnishings in this elegant suite. 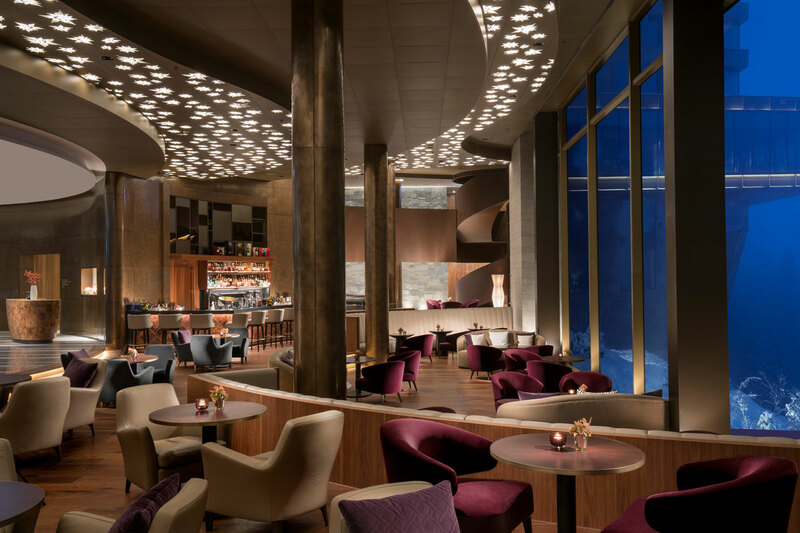 • RitzCoffier with its signature chef Marc Haeberlin, owning 3 Michelin stars for 26 years, is regarded as one of the most gifted chefs of his generation.